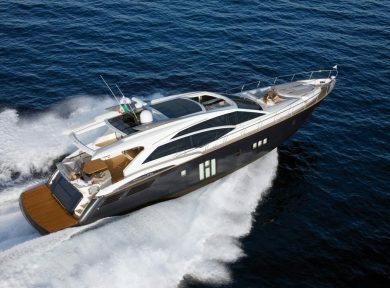 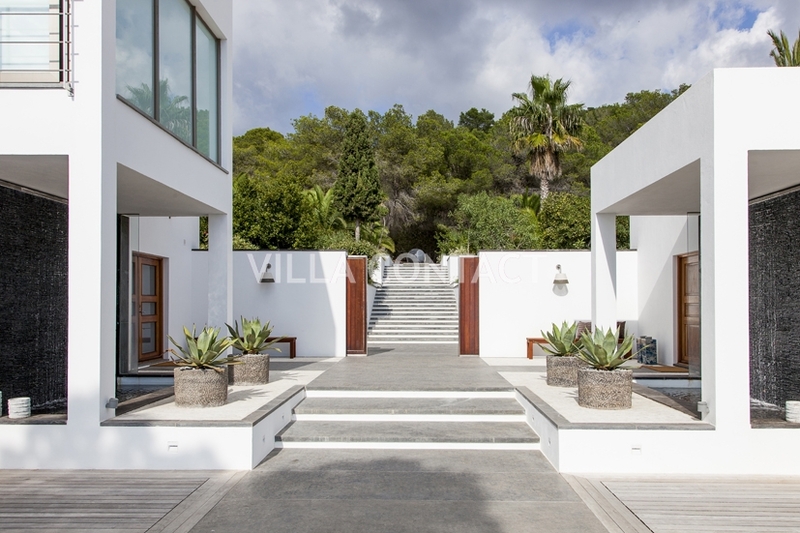 Villa Centelleo is undoubtedly one of the most exclusive and impressive private villas on the island. 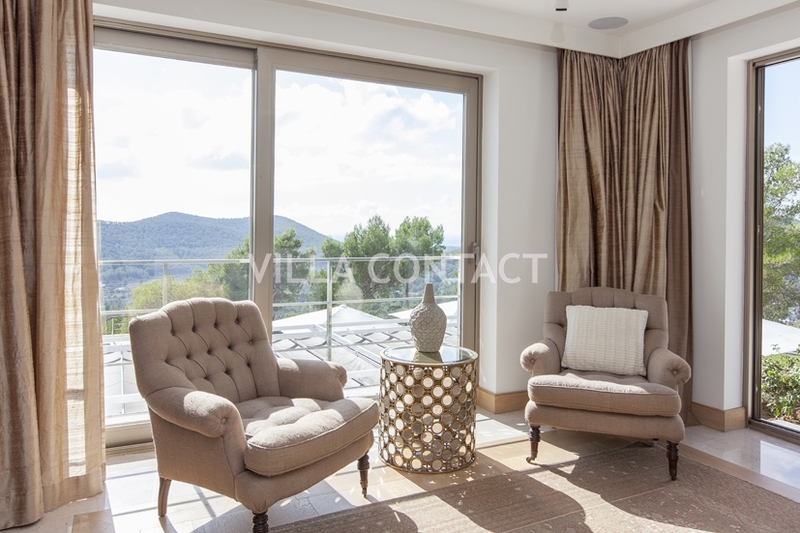 The villa offers 6 stunning King-size suites distributed across three buildings, the main house, guest house and lower house. 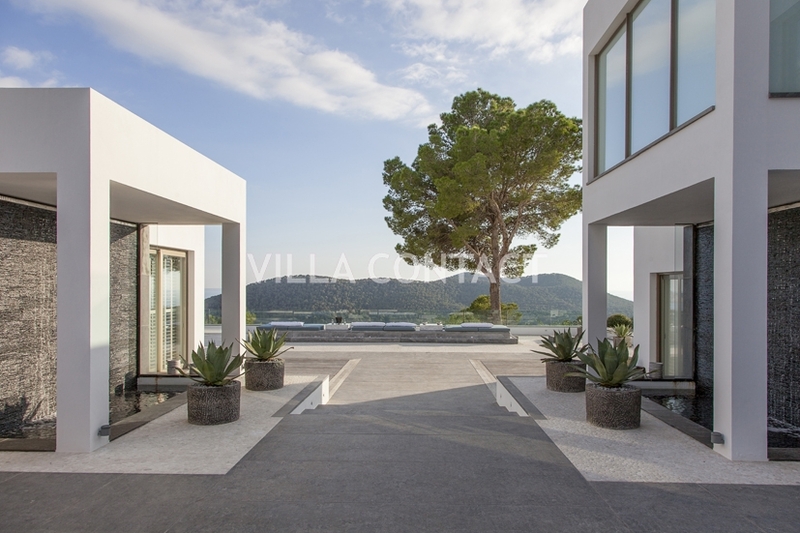 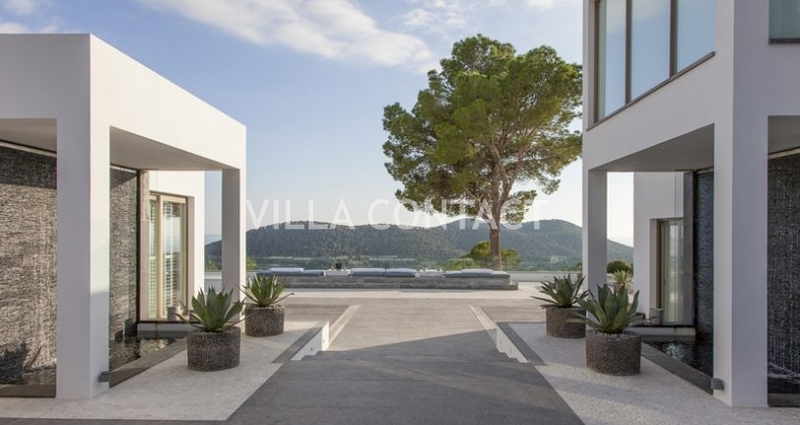 These three stunning buildings are located on an 80.000 square meter plot of land on one of the highest mountains in Ibiza and despite the dramatic location the property offers a staggering 800sqm meters of living space and a further 1500 square meters of terraces. 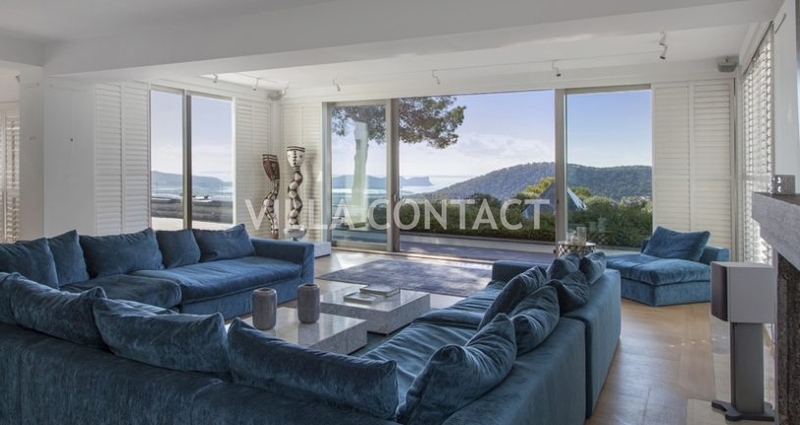 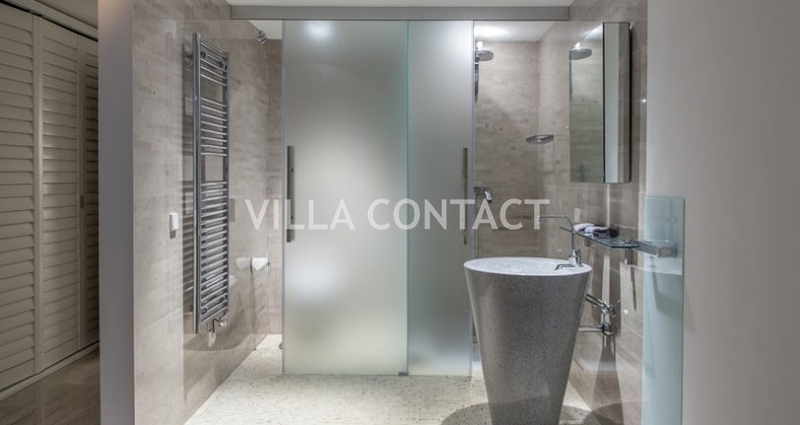 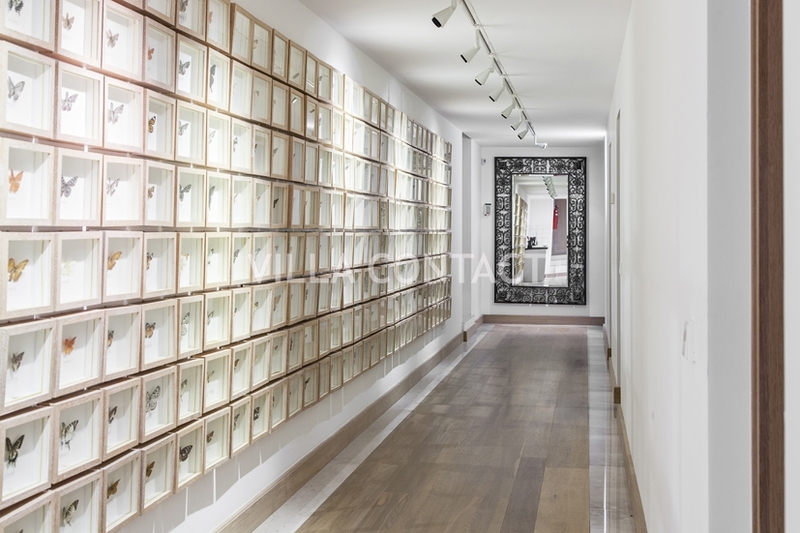 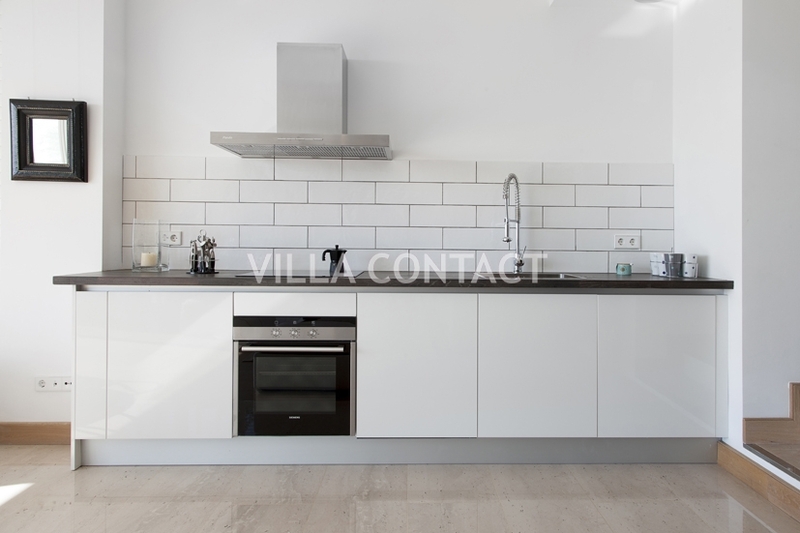 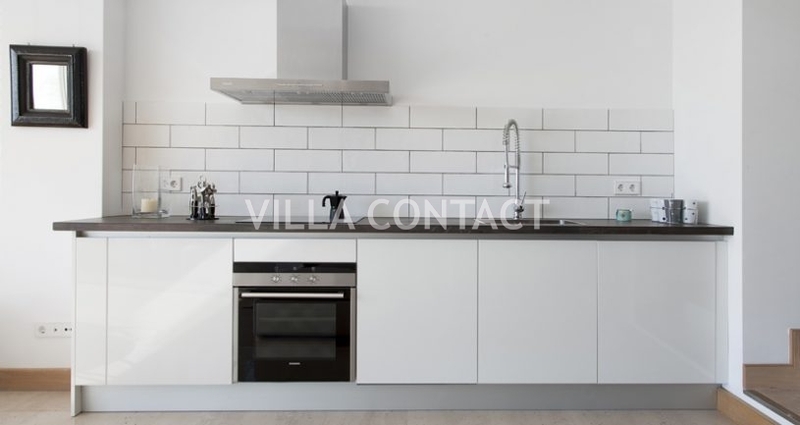 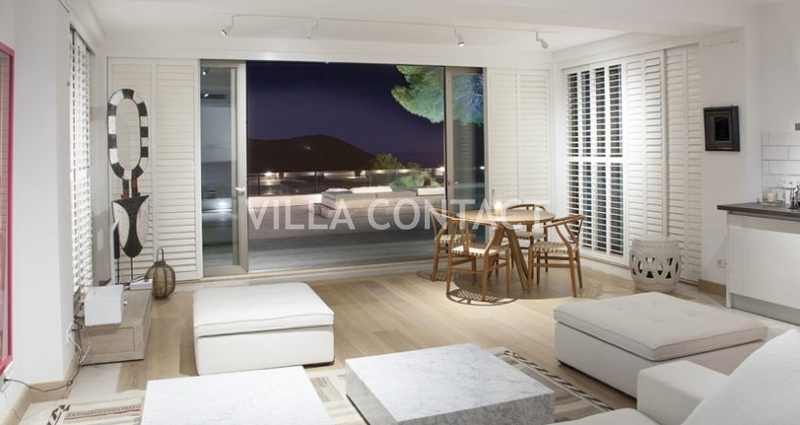 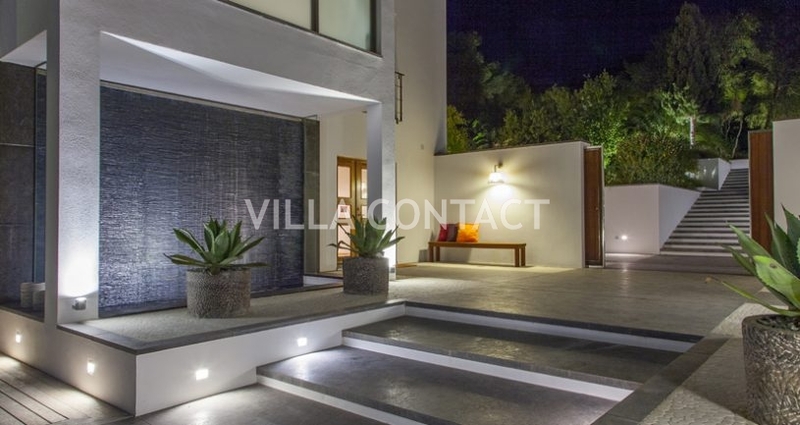 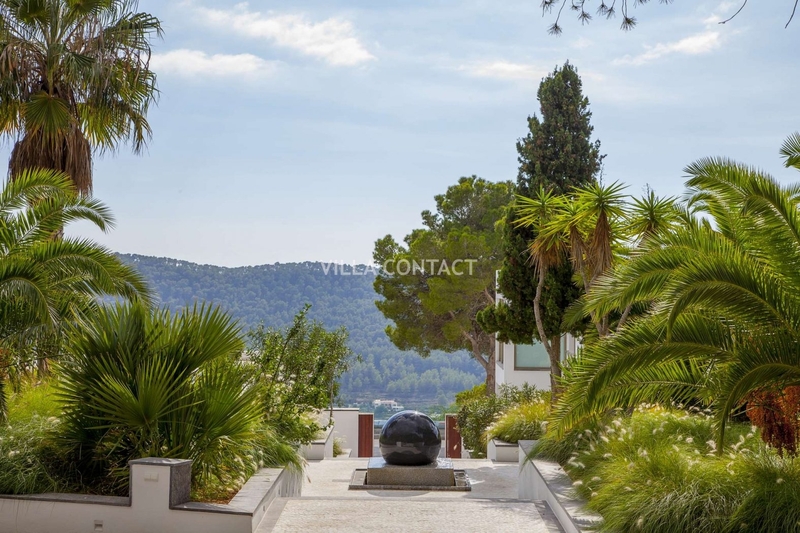 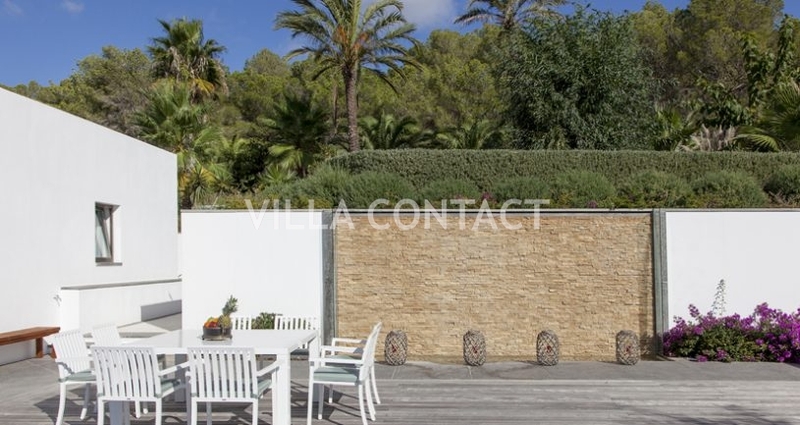 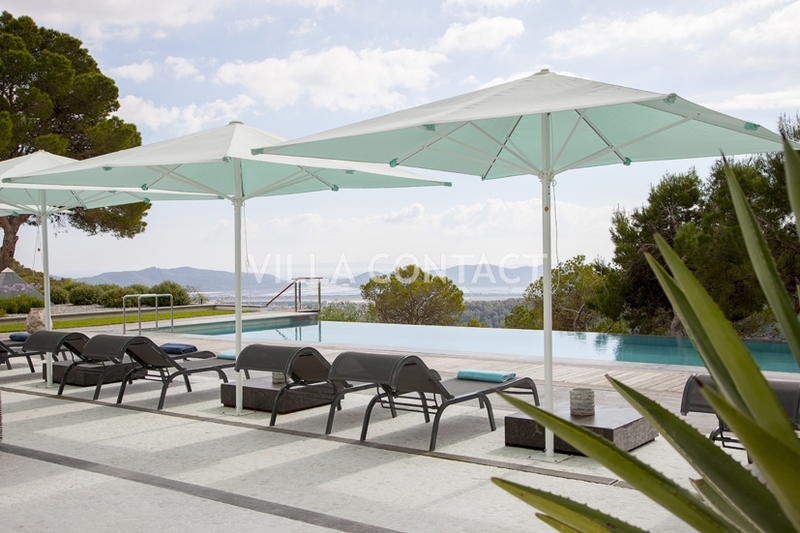 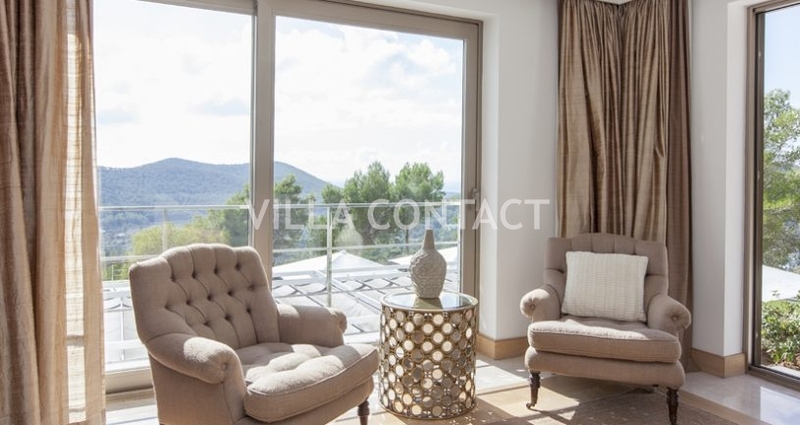 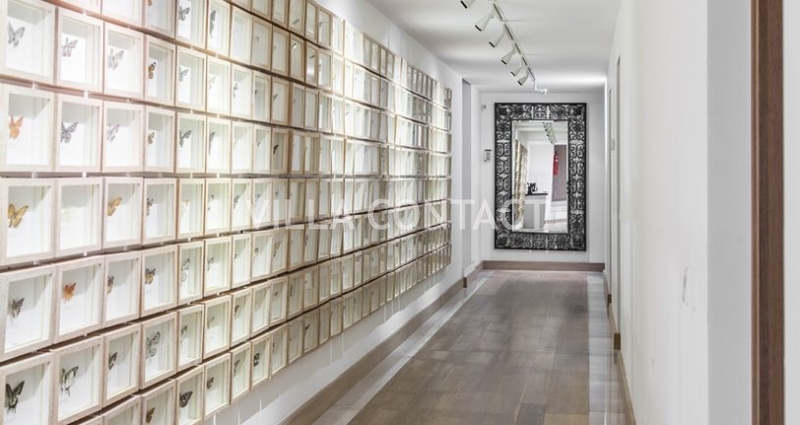 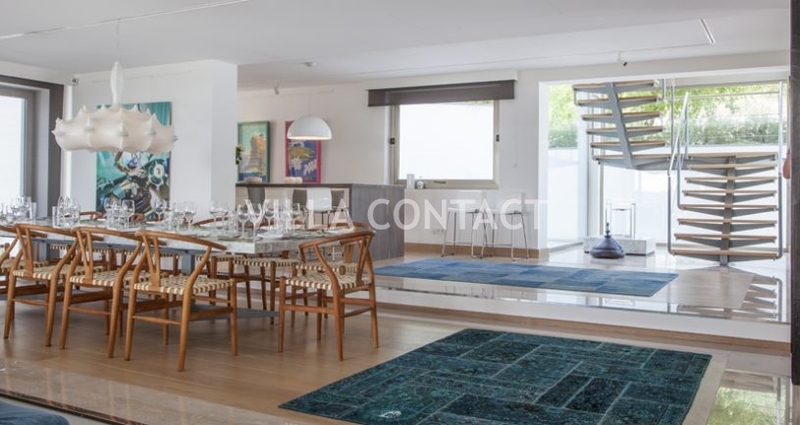 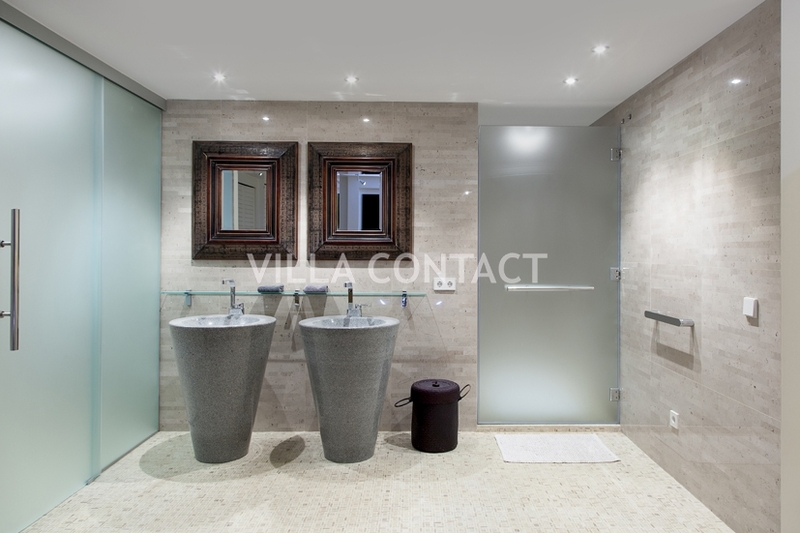 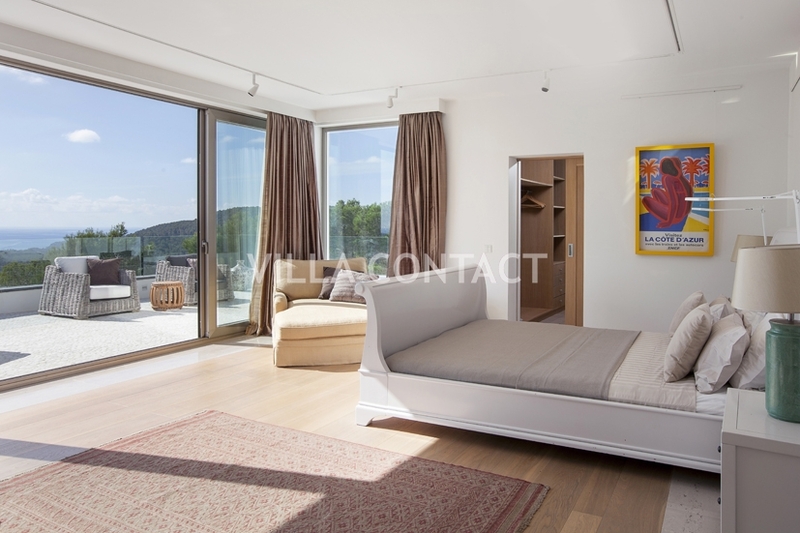 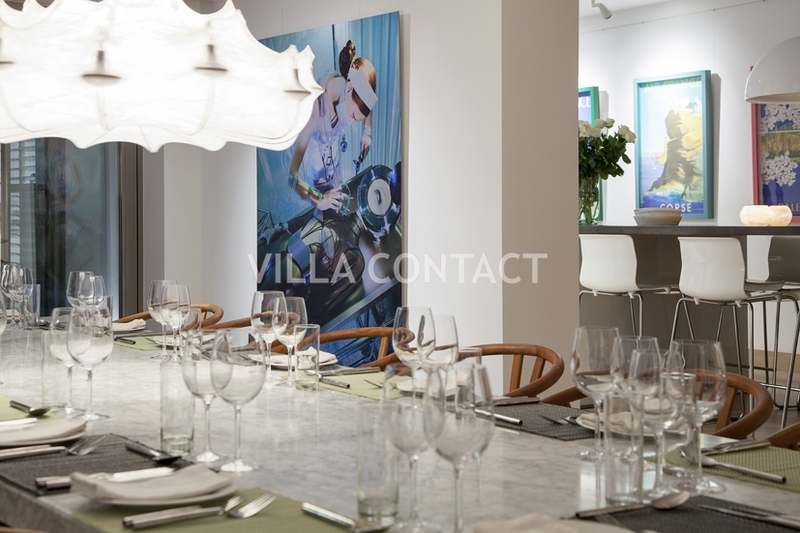 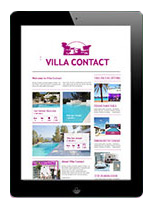 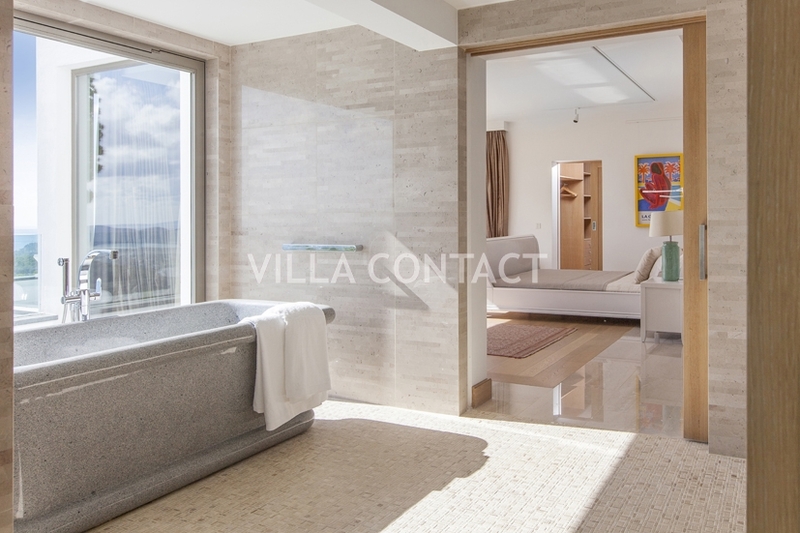 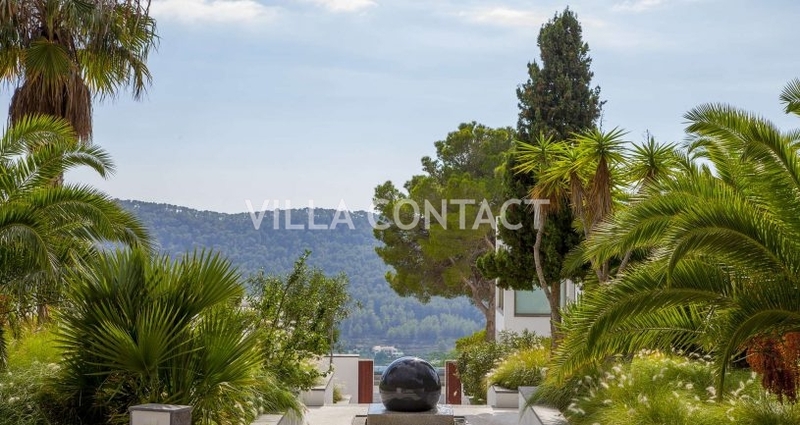 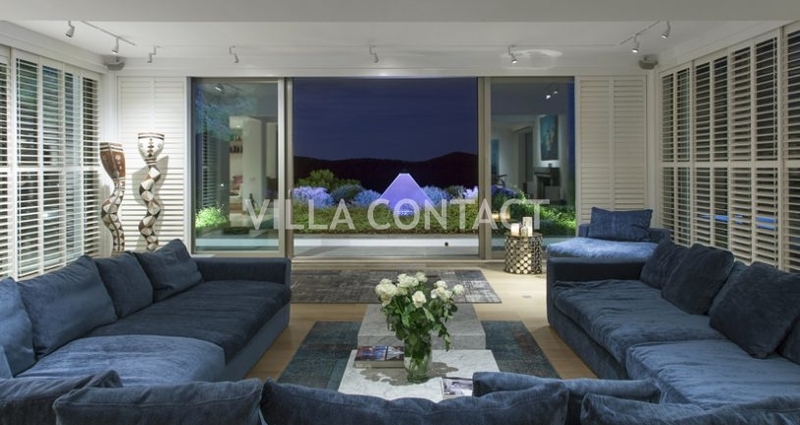 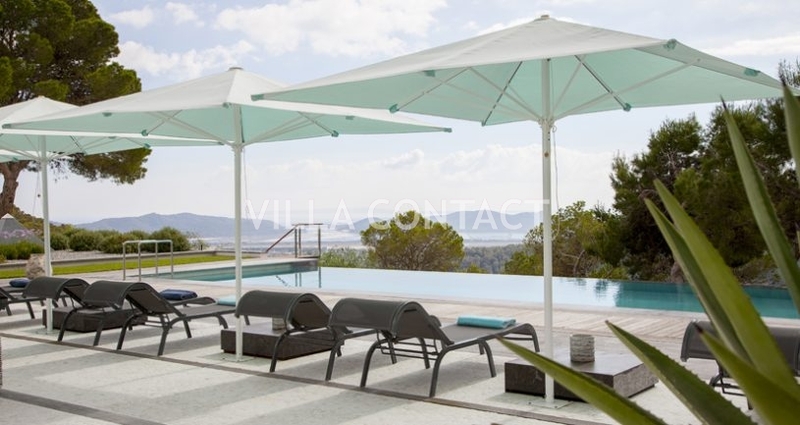 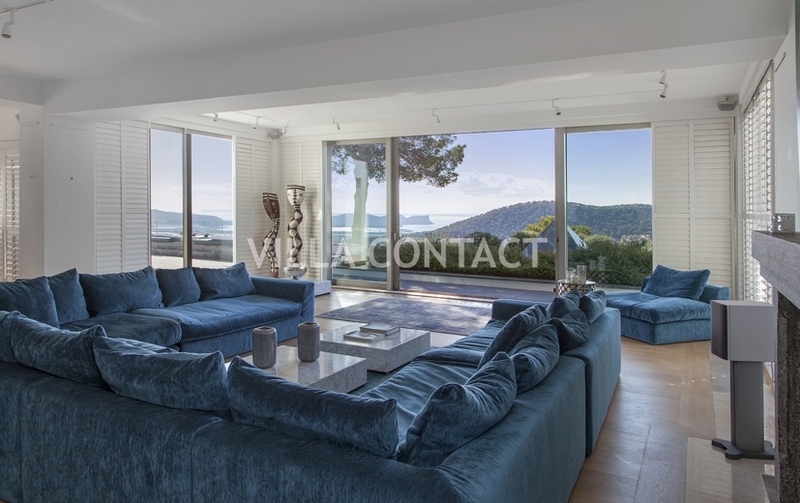 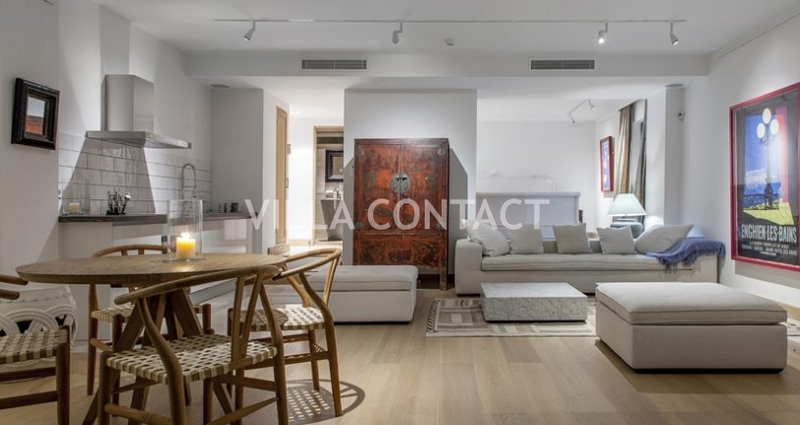 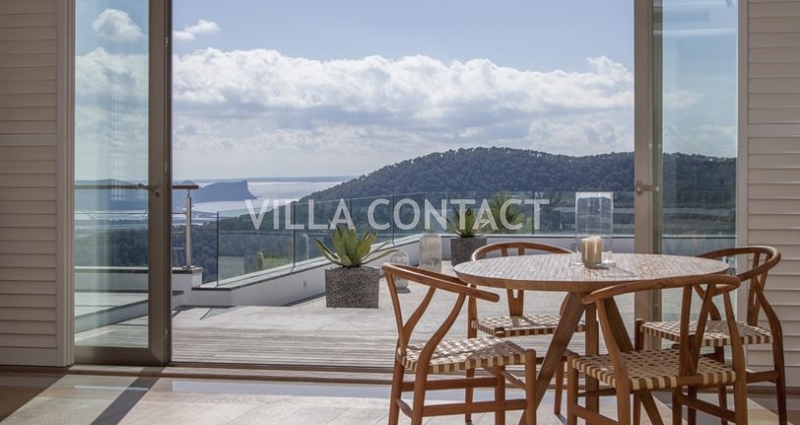 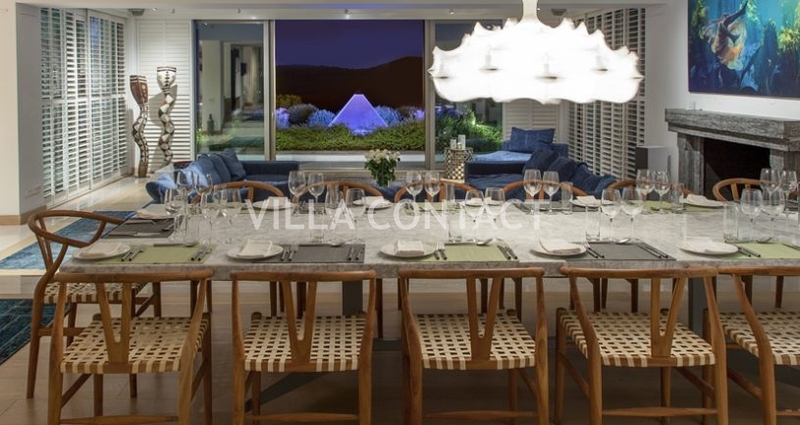 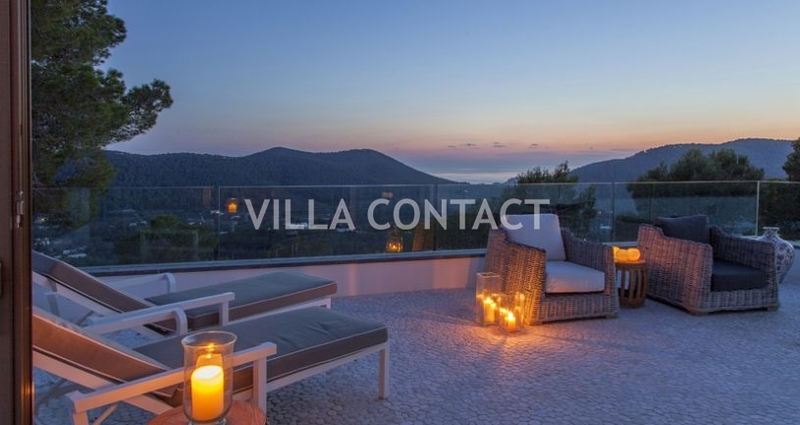 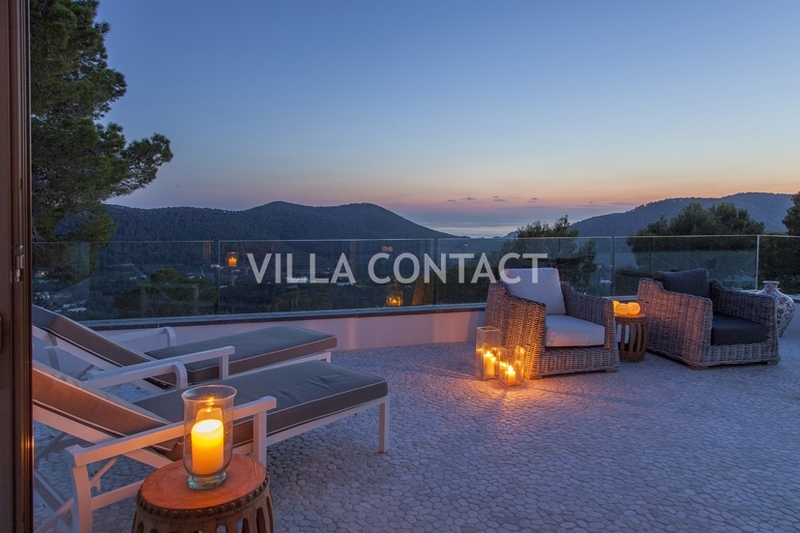 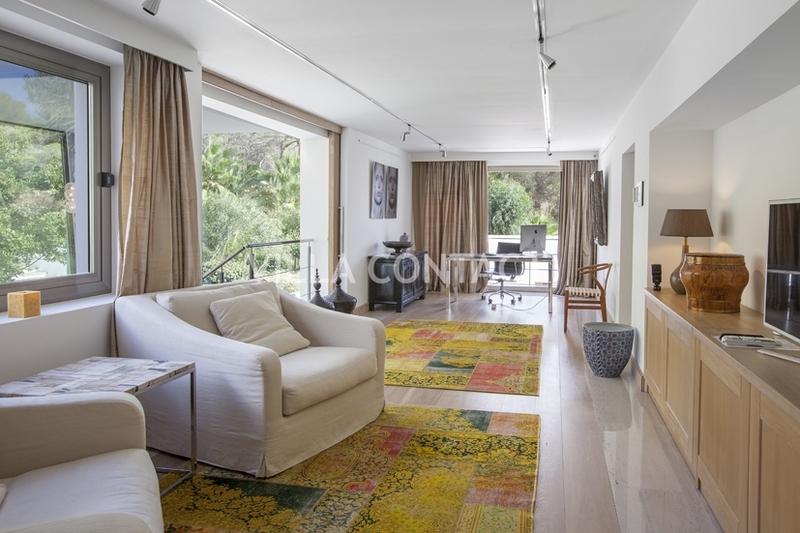 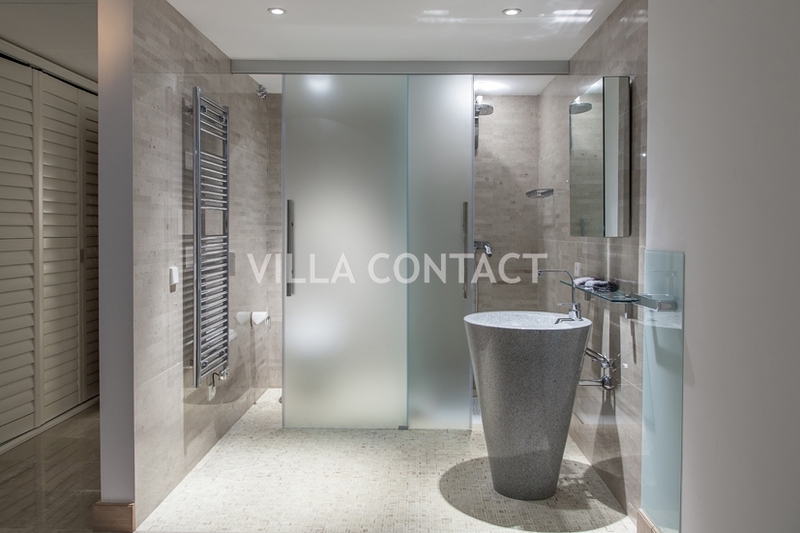 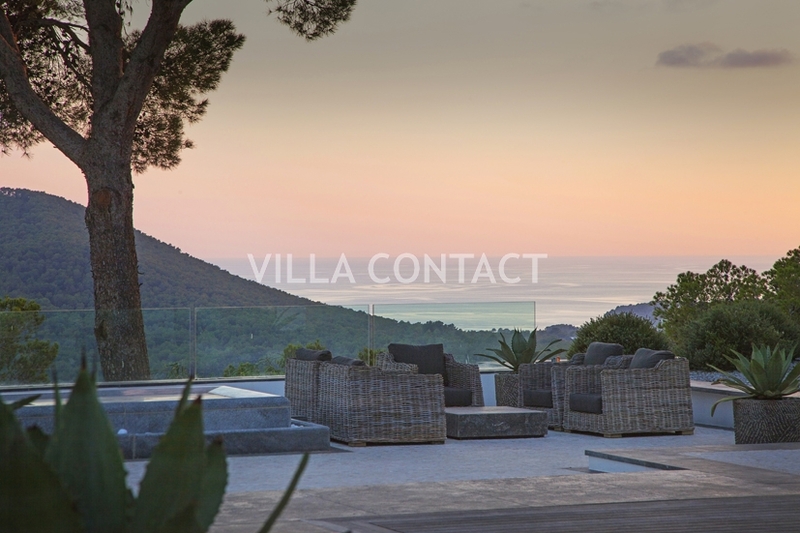 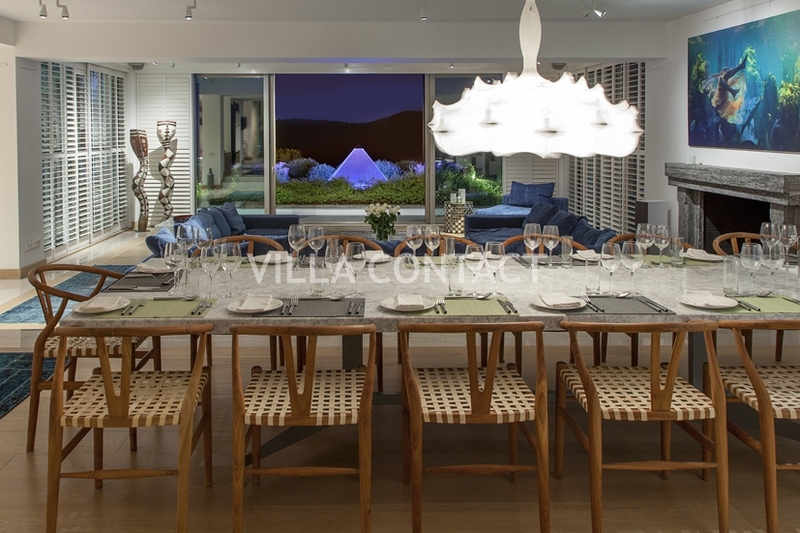 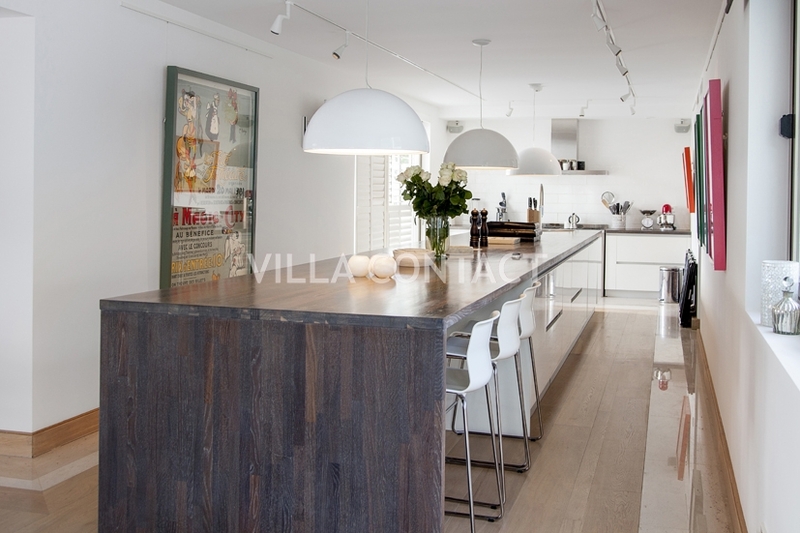 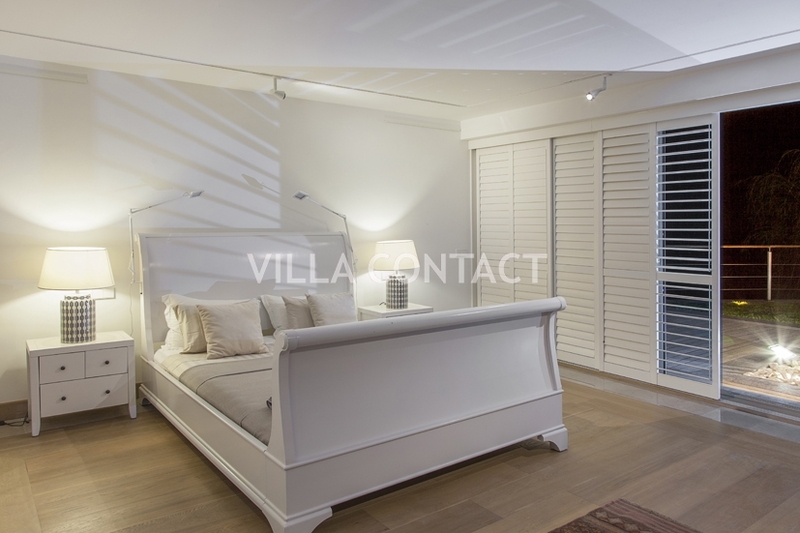 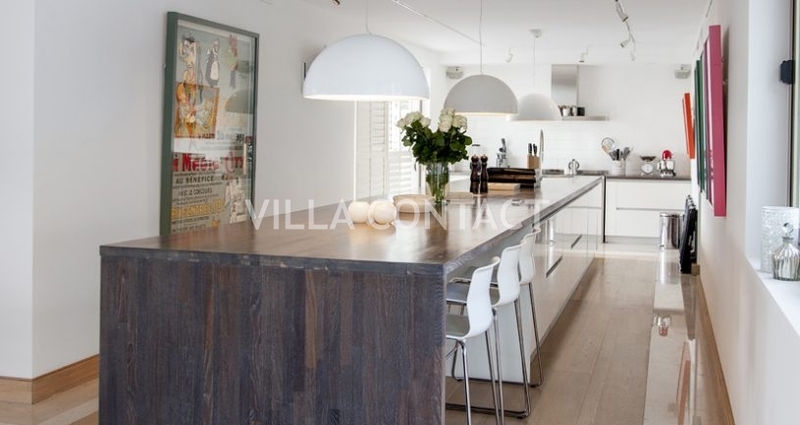 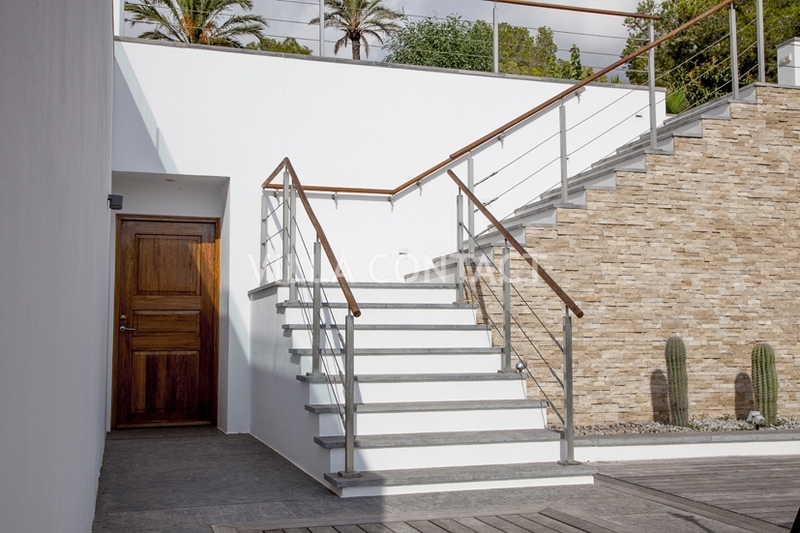 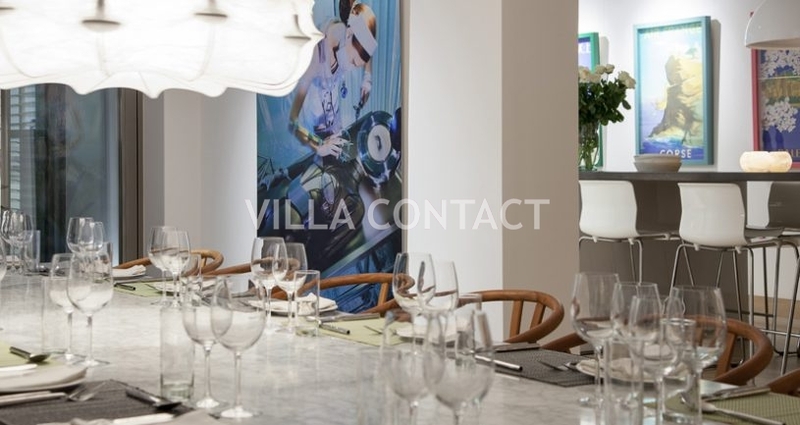 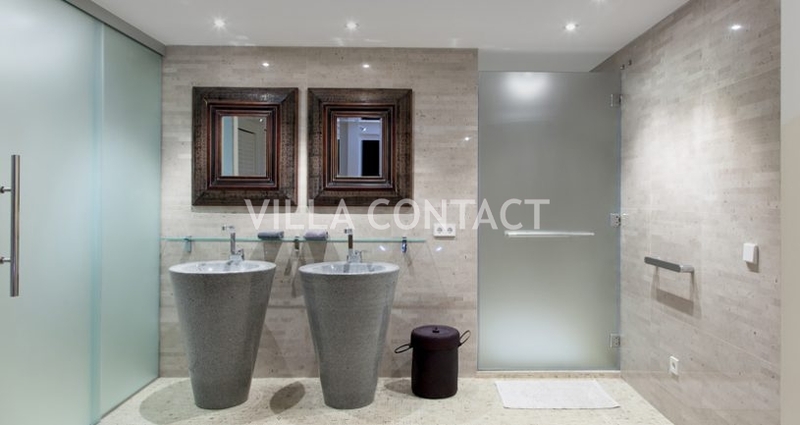 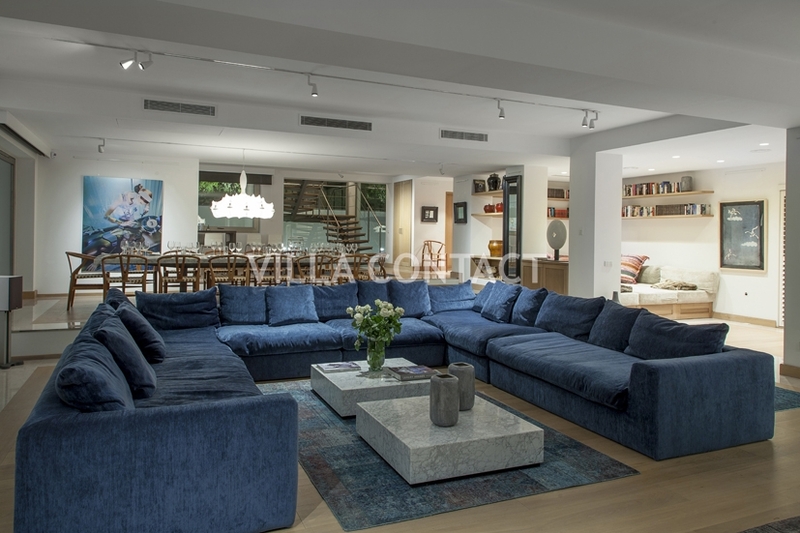 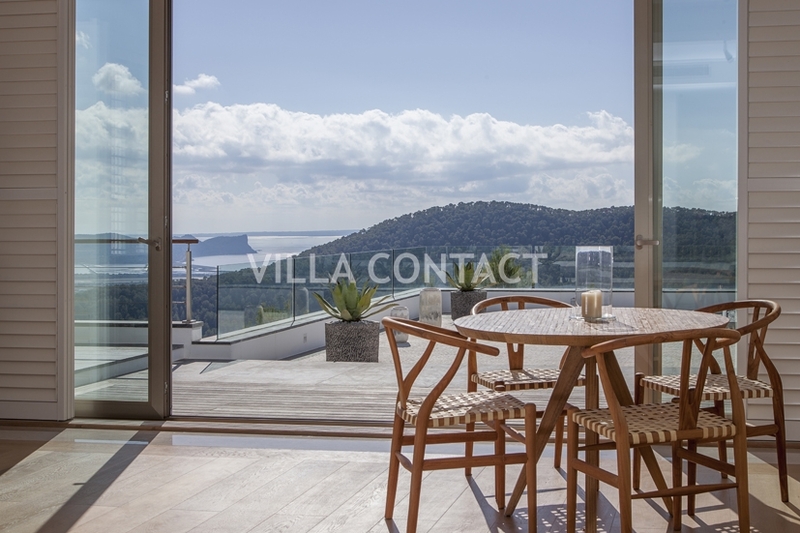 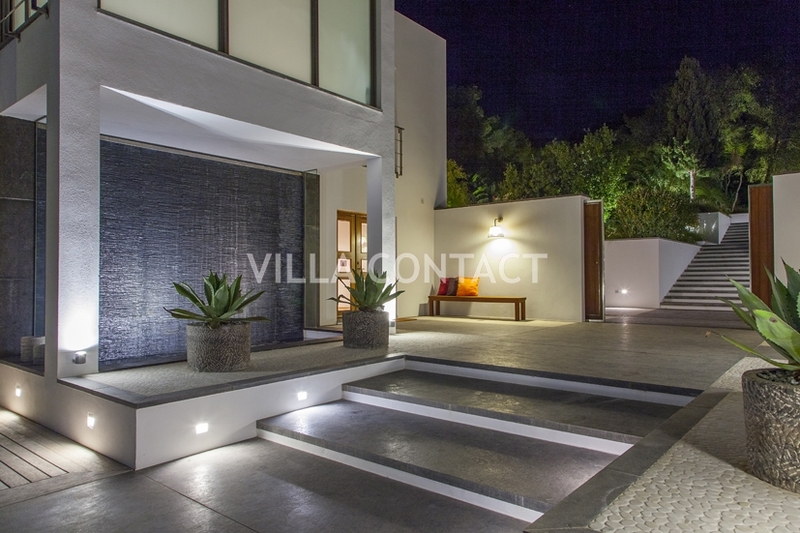 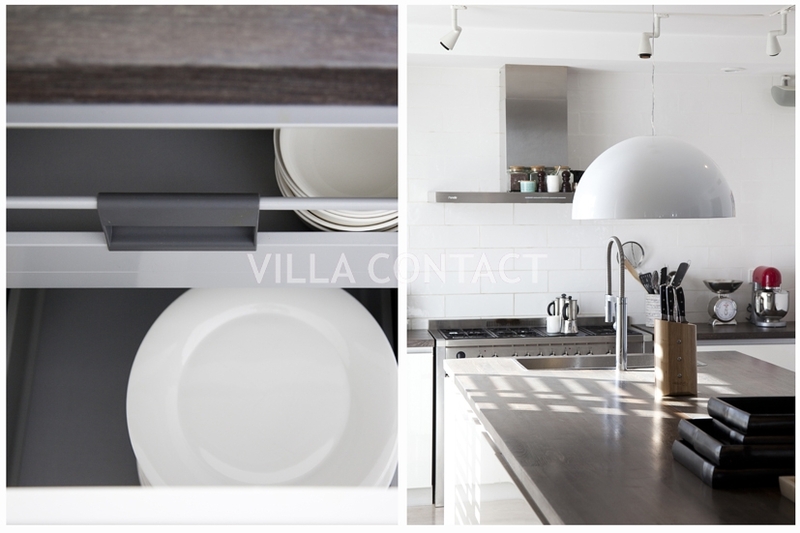 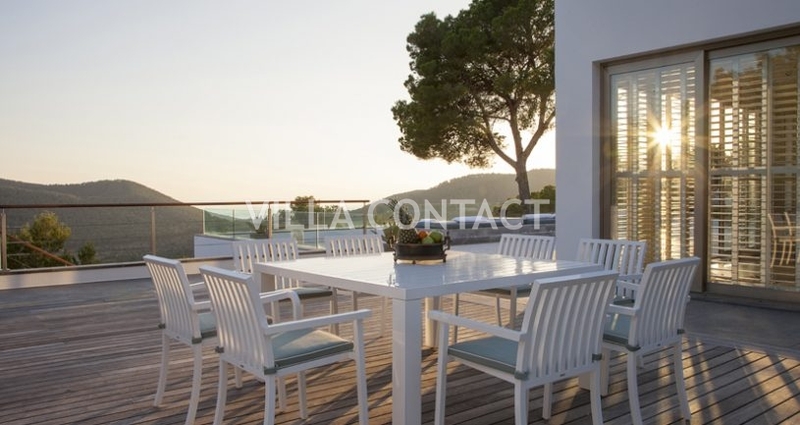 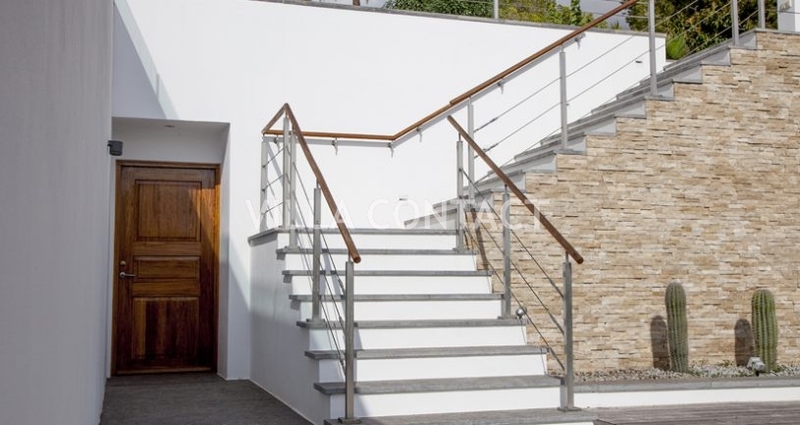 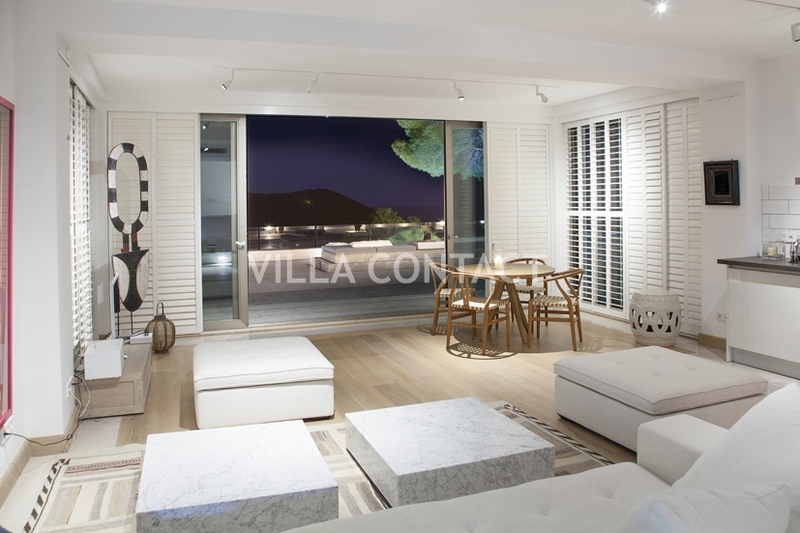 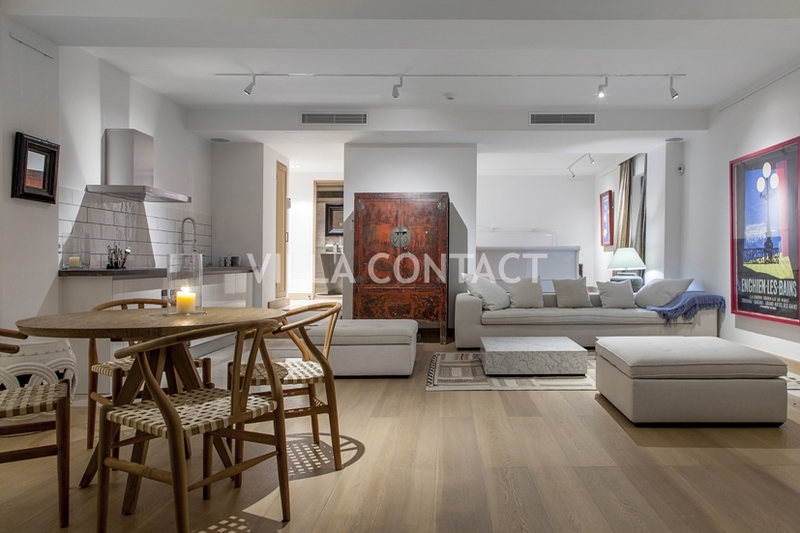 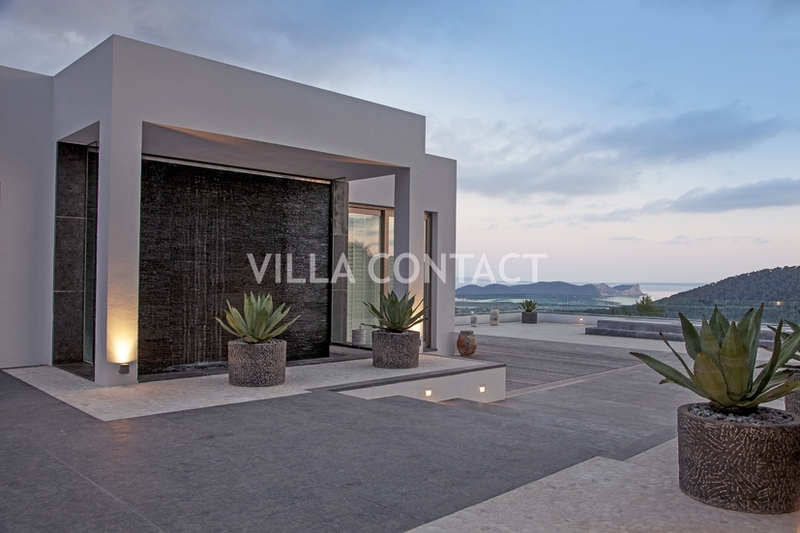 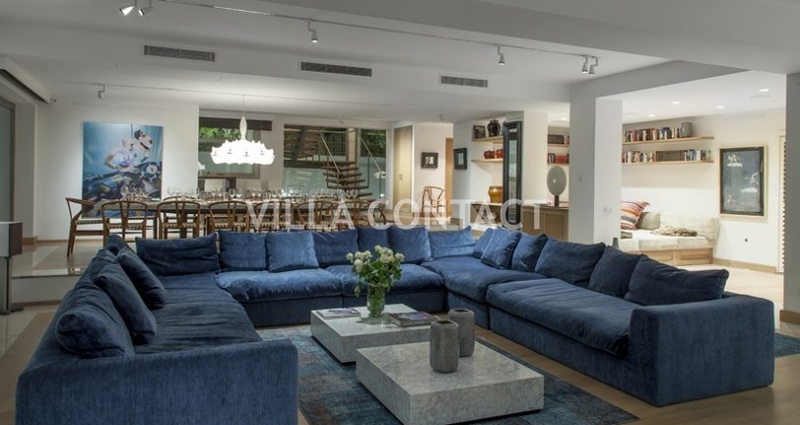 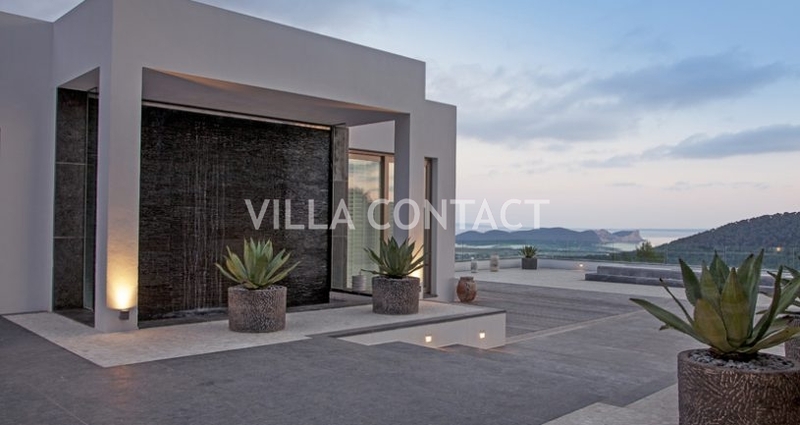 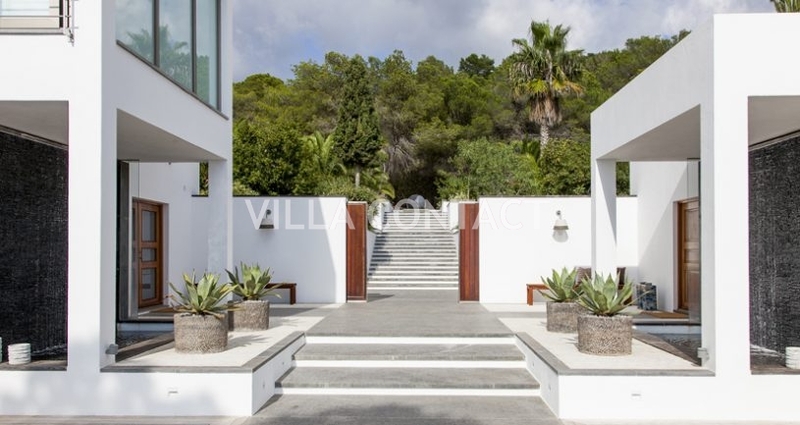 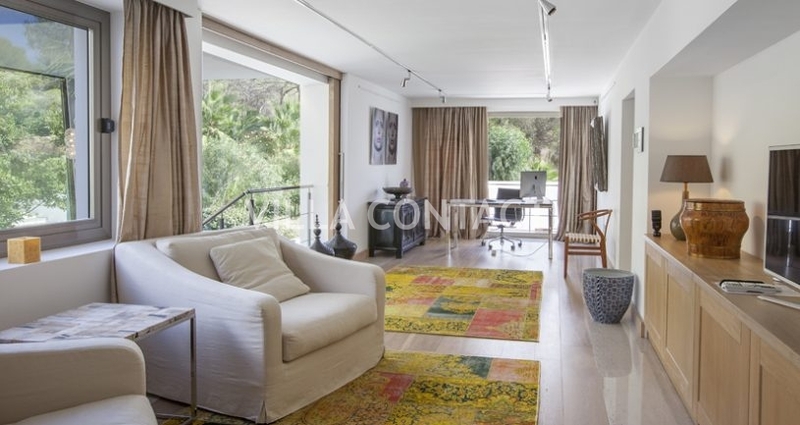 The villa has been furnished with highest quality fixtures and fittings which coupled with the tasteful modern designer furniture make this one of top choices. 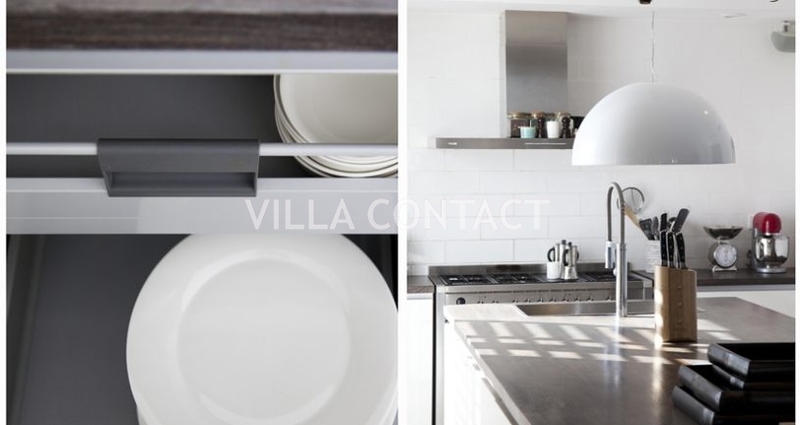 The latest audio and video technology has been installed with integrated Sonos music systems throughout the buildings and extra fast internet. 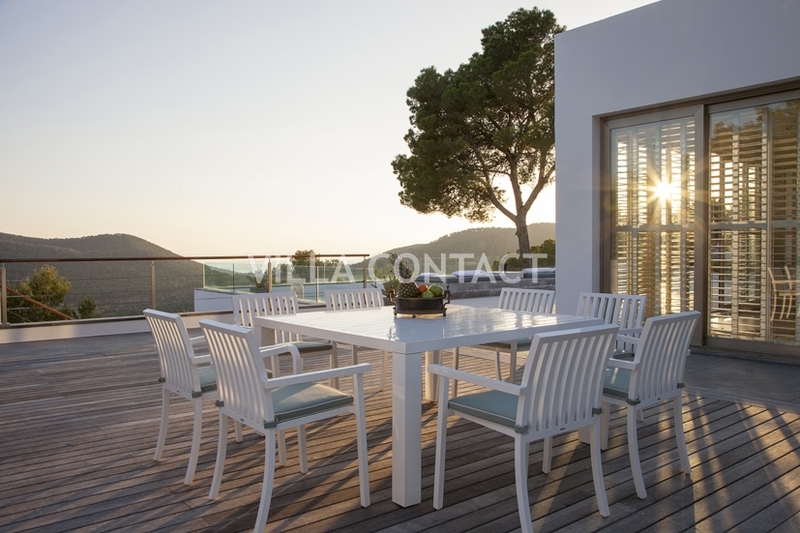 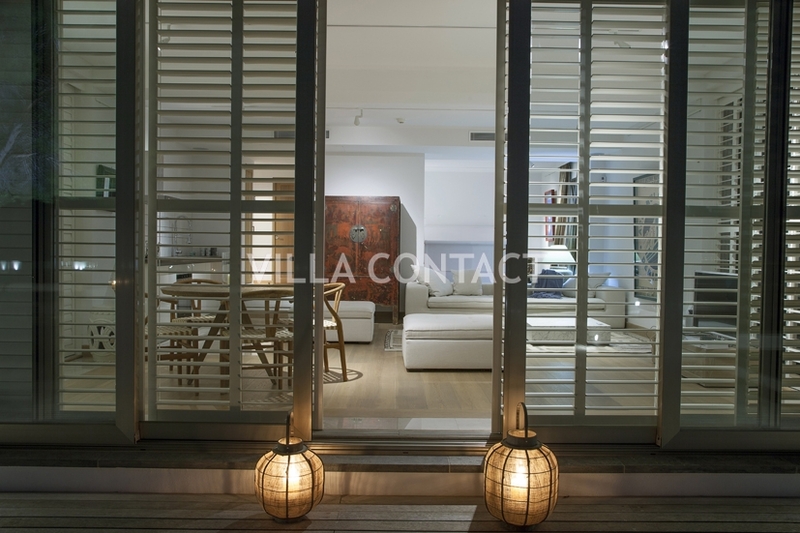 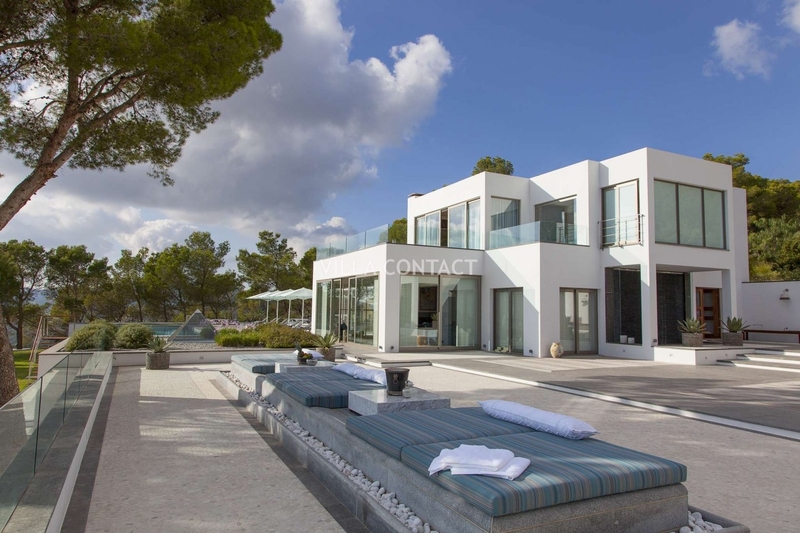 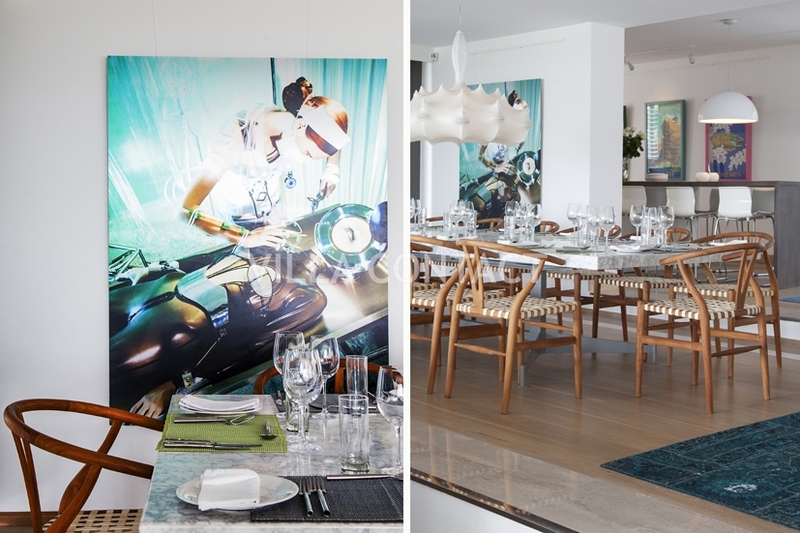 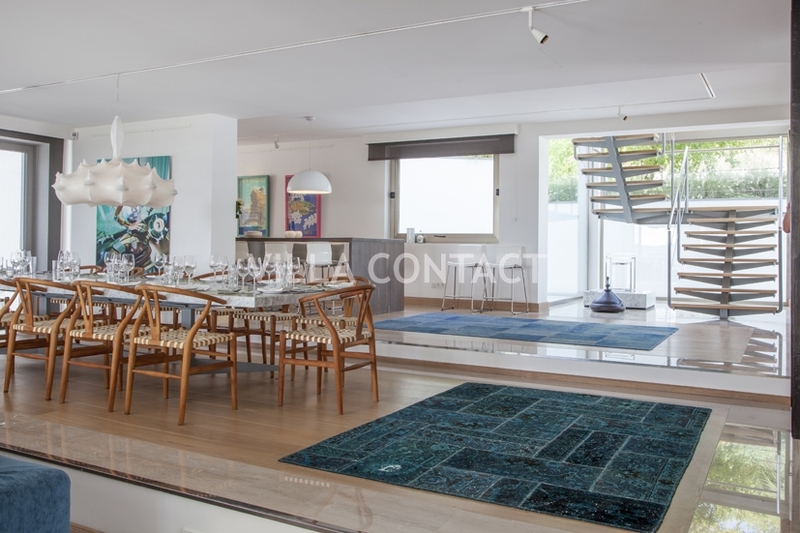 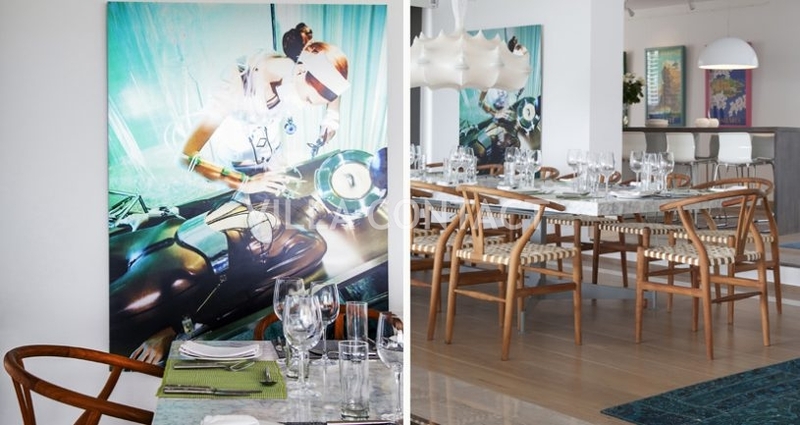 The property offers numerous places to host large lunches and dinners both inside, on the main terrace or the pool terrace all of which enjoy stunning views across Salinas, Cap de Falco and Formentera.